Last week I found out that my favorite chocolate bar contains unsafe levels of lead. According to a report released by a local consumer watchdog group last month, independent testing of 42 popular chocolate products found that 26 of them “contain lead and/or cadmium at levels in which one serving exceeds the California safe harbor level for reproductive harm.” The organization is urging the manufacturers to place warnings on their labels or to make changes to ensure that the chocolates are safe. My favorite bar was on the list. This is the chocolate bar that I keep on hand at all times. The chocolate bar that has the perfect balance of sweetness and acidity and a creamy texture, is organic, and costs only $1.99. The chocolate bar that I eat, on average, three squares of per day (and yes that’s nearly a full serving size). I needed to find a new favorite chocolate bar. It was time for a quest. Trouble was, I wanted an organic chocolate bar. I wanted a chocolate bar that was roughly 73%. I wanted a chocolate bar that was reasonably priced. The report mentioned only 3 chocolate bars on their safe list. Only one (Green & Black’s 34%) was organic. But this is a milk chocolate bar. Another, Ghirardelli’s Intense Dark Midnight Reverie, was 86%. 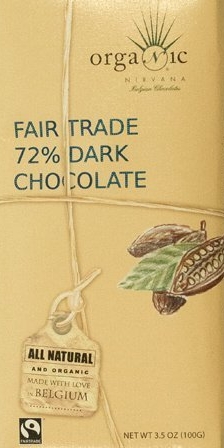 I decided to try the third–Endangered Species’ 72% Dark Chocolate–because, despite it not being organic, at least it was lead free, and in the right range. At $3.19 it was almost double the price of my favorite bar, but I liked the robust chocolate flavor. 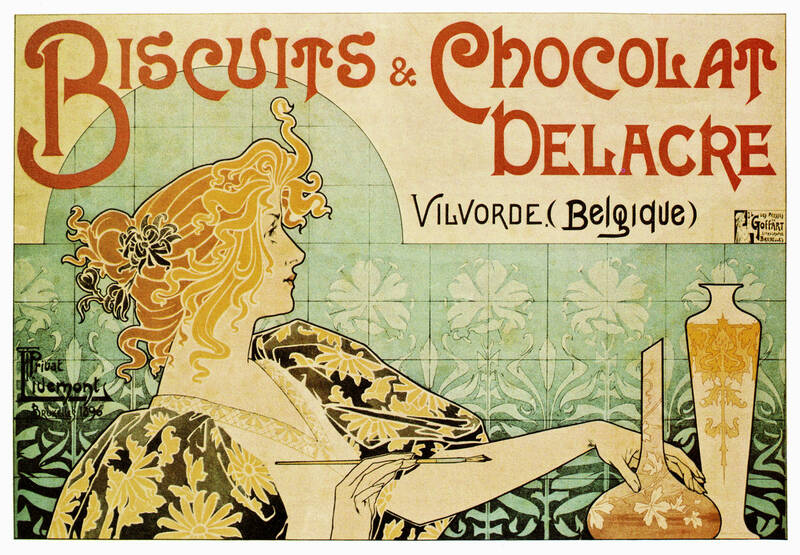 I did not, however, like the ridges in the chocolate bar shape, and I found the texture a bit grainy. I also found it a bit too sweet and it left a slight medicinal aftertaste. I found it a little bit difficult to chew and the chocolate flavor was not as strong. It also had an odd added flavor that was difficult to pinpoint. Next, I tried Nirvana Chocolates 72% Organic Dark Chocolate. At $4.99, it was by far the most expensive. It was however, pleasant to bite into. With a smooth and creamy texture, it was not too sweet, but had a subtler chocolate flavor and a slightly chalky residue. In short, I remain unsatisfied. Tonight, at Trader Joe’s, I spotted another organic dark chocolate bar (the Trader Joe’s Organic 72% cacao Belgian Dark Chocolate Bar) that was not on the unsafe list, and was only $1.99. In the mean time, how about you? What is your go-to chocolate bar? Oh crud. I better tell my dad the TJ’s chocoholic…. ohhhhh crap. Thanks for the heads up. My favorite is L’Amourette fleur de sel. I don’t think I see it on the list (fingers crossed). It’s very expensive but rich, so I only eat one square at a time and it lasts a while. Let me know if you try it out! Oh, yum! That sounds great! I’ll have to check it out… Thanks for the tip! I know this is over a year old, but I just wanted to say since i see this same misconception all over the internet–they haven’t tested every brand of dark chocolate. So the fact that a brand doesn’t appear on the list does not mean it is free of lead and cadmium. Organic chocolate also contains lead and cadmium. Pretty much every brand of dark chocolate tested seems to have lead and/or cadmium. The only ones tested that do not have “reportable” amounts are milk chocolate or lower percentage dark, no doubt because they are diluted and the lead/cadmium are at present at lower amounts. Rather than searching for a lead free brand (I don’t think one exists) email your chocolate company to ask for full testing and disclosure of their brand.